This is something of a departure, but I hope you will indulge me. 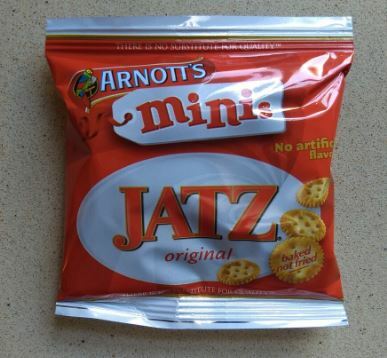 As I mentioned, I’m fast running our of sweet Arnott’s biscuits to review – but I am also aware that without them my blog is descending into just another ranty cyclists diatribe. So I have therefore decide to spread the biscuit net a little wider, to cover those savoury biscuits Arnott’s bake to have with cheese. Of course, there is some overlap between the two; there’s nothing better than some sharp cheddar on a Granita, for example, and I’ve previously suggested the Shredded Wheatmeal might be better with cheese. But for this review I’ve gone right off-piste with a look at the Ched. Cheds are ‘crisp crackers with a baked on cheddar cheese flavour’. They come in a handsome box, with the crackers packed in cellophane inside. 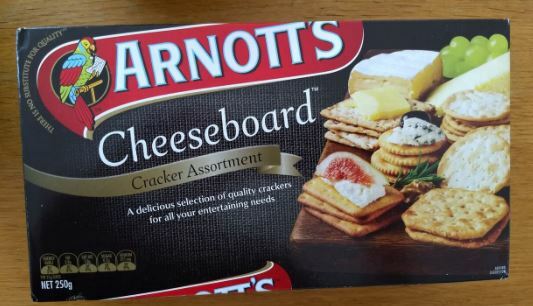 The box is presumably to protect the somewhat fragile crackers – although it fails to do a perfect job as invariably many of them are broken when you come to eat them. 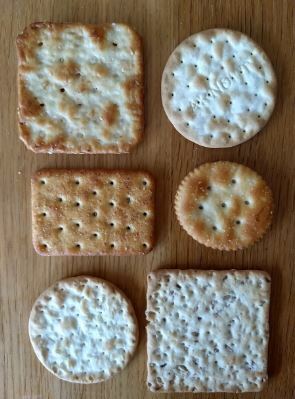 The biscuits themselves can be divided into two thanks to perforations down the centre, and they are generously sprinkled with the cheddar cheese flavour. 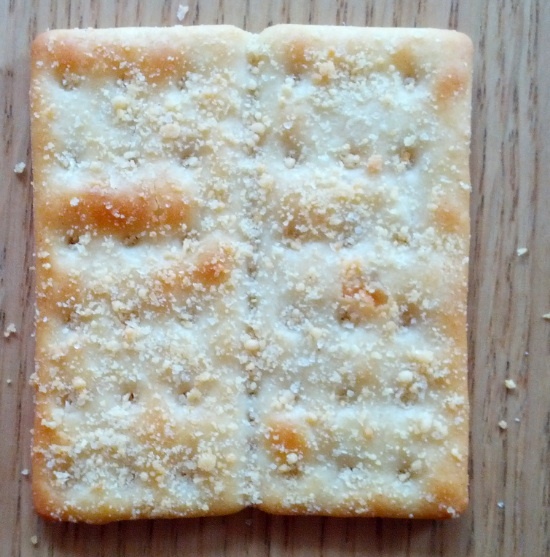 This combination of crisp (but often damaged) cracker, serrations and cheese sprinkles inevitably means that a lot of crumbs are generated when you eat them. So what do they taste like? Well, they are definitely cheesy. They are also quite salty, which means they go very well with a soft, mild cheese, such as brie or cream cheese. But they are also good on their own, and this is the real selling point of Cheds. Unlike many biscuits for cheese, you can quite happily sit down with a pack of Cheds and just nosh through them as they are. 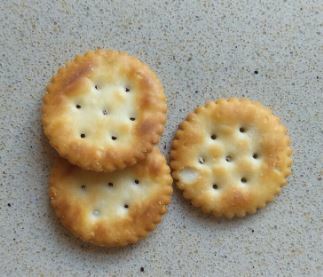 The cheesy flavour is very satisfying, the saltiness makes them very moreish and they are not the type of crackers that dry out our mouth – they are very easy to eat. I think they are yummy, and eat far too many of them. As such I’m going to give them an eight out of ten. Poll question: Should I continue to write about savoury biscuits? Yes - more cheesy reviews! No - this is a travesty. Biscuits should be sweet!